If you are looking to identify the music or song blaring out, there is no doubt that Shazam is the best app to do the job at hand i.e recognize the song playing out. Shazam works great and recognizes almost any song blazing fast. So, why need any other audio identification app, right? Wrong. 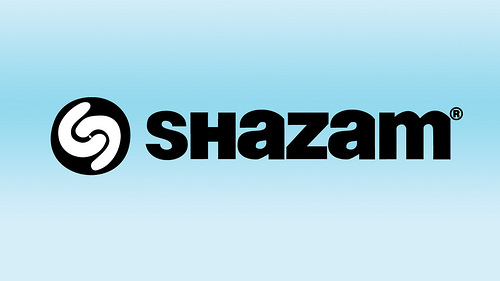 Shazam has recently dropped Spotify support for its UK users which has left them fuming. So, monopoly of any app is dangerous to the consumers and we must have an idea about the various options available to us. Below, we list the best alternatives to Shazam. 1. SoundHound: SoundHound is probably the best alternative to Shazam when it comes to music identification. No other app comes so close to Shazam. SoundHound identifies the song in an instant and also provides you with the lyrics to the song. Additional features include singing and humming recognition. 2. Facebook: Yes, you heard it right! Facebook has recently introduced a Shazam like music identification feature that lets you tag songs and TV shows in your Facebook posts. Facebook can identify a few million songs currently and it is also quite good at doing it. The ease with using this feature from Facebook is that you don’t need a standalone app like Shazam to identify music and moreover, your Facebook app is probably open all the time. 3. musiXmatch: Apart from music identification, musiXmatch has some awesome additional features. musiXmatch has the world’s largest lyrics catalog. The lyrics are displayed on screen along with the song and you can also search for lyrics from the huge catalog. If you are in a mood for some singing you can also remove the song’s vocals and sing to the music looking at the lyrics. 4. SoundTracking: If you are into social media and social sharing, then SoundTracking is the ideal music identification app for you. It has the wackiest social options of the lot. You can add photos, hashtags and captions to your favorite songs and share with friends on Facebook, Twitter, Instagram and Foursquare. It also lets you dedicate songs to friends by tagging their name with the song. 5. Google Search: The Google Search app for Android can recognize the songs playing around you. All you need to do is tap the mic on the app and say “Listen to TV” or you can also say “OK Google” followed by “Listen to TV”. Upon identification, the title, artist and cover art are displayed. Things are pretty easy with the Google Search app since all Android smartphones come pre-loaded with Google Search for Android. Make sure you update the Google Search app to the latest version. These are the top 5 best alternatives to music identification app Shazam. Did you try google search to find a song name?